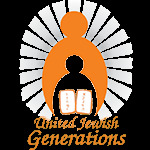 United Jewish Generations has realized that as senior citizens advance in their years they become more involved in their Jewish roots and heritage. However, many of them have no way of obtaining the proper Jewish books which would benefit them to satisfy their renewed thirst for Judaism. Whether they don’t have transportation, are handicapped, or don’t have a Judaica store nearby, UJG Lending Library is happy to bring basic Jewish books to anyone that needs. All books are available with English translation. Other translations available upon request. Click here to contact the Lending Library.